LG Electronics USA Business Solutions was selected by the Greater Orlando Aviation Administration (GOAA) to provide video screens for the renovation of the departure processing facilities at Orlando International Airport. A total of 700 LG 55-inch ultra-thin-bezel videowall screens are being installed at the airport to create a continuous 1,561-foot digital display wall behind airline counters, and another 350 LG displays will be installed in double-sided overhead videowalls for way-finding from the check-in areas to concessions and other conveniences to security checkpoints. GOAA conceived the videowall as a unique way to provide customers with a new travel experience – one that conveys all the pertinent information that customers have come to expect while traveling, including wait times, flight information, wayfinding, destination time and weather and gate information. "The massive Orlando videowall represents an amazing display of innovation to transform the airport experience, setting a new standard for transportation information displays around the world," said Clark Brown, vice president, digital signage, LG Electronics USA Business Solutions. 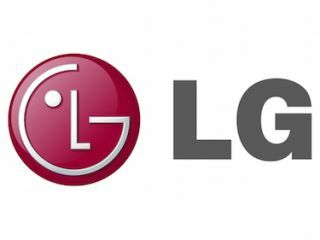 "This major project showcases LG's commitment to leadership in the transportation sector, and we're proud that LG technology is bringing GOAA's vision to life." LG Electronics, along with videowall experts and content development agency Synect and communications/IT solutions provider SITA, worked to design and install LG's ultra-high definition videowall, which delivers a wide viewing angle, while fully integrating with the airport operational systems. The family-friendly airport also can now display interactive games to entertain its young travelers and decrease perceived wait times. With a slim bezel width of 0.9 millimeters (0.035 inches), LG's VH7B series of direct back-lit LED displays "are redefining the videowall category," Brown said. "These lightweight, thin displays connect seamlessly to create a powerful and impactful image for an immersive experience that's certain to capture any viewer's attention in Orlando."